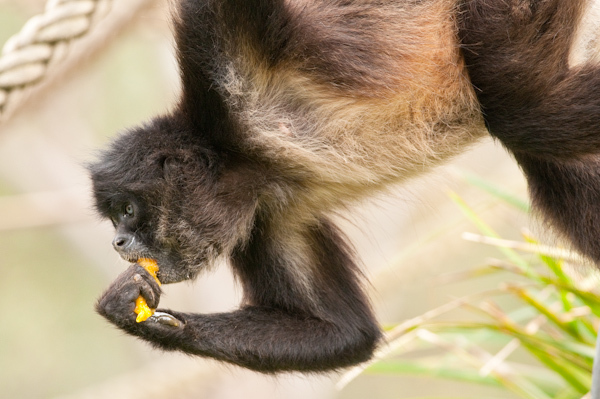 Spider Monkeys are native to the rainforests of Central America. They are arboreal (tree dwellers) and spend most of the day foraging for fruits, nuts, insects, and leaves. Their tail acts like a fifth limb and aids in climbing and swinging from tree to tree. Spider Monkeys have no thumbs which also assists their swinging as this action only requires the fingers to grip.